Vyacheslav Mikhailovich Zaitsev (Russian: Вячеслав Михайлович Зайцев), more commonly known as Slava Zaitsev (Russian: Слава Зайцев), born 2 March 1938 in Ivanovo, Russian Soviet Federative Socialist Republic, is a Russian fashion designer, painter, graphic artist and theatrical costume designer. Raisa Gorbachyova wore Zaitsev creations when she made what The New York Times described as a “perestroika splash” in the 1980s. Due to the patronage of the Soviet First Lady, he gained a reputation as one of the world’s hottest fashion designers, and became an international celebrity in his own right and a household name inRussia. 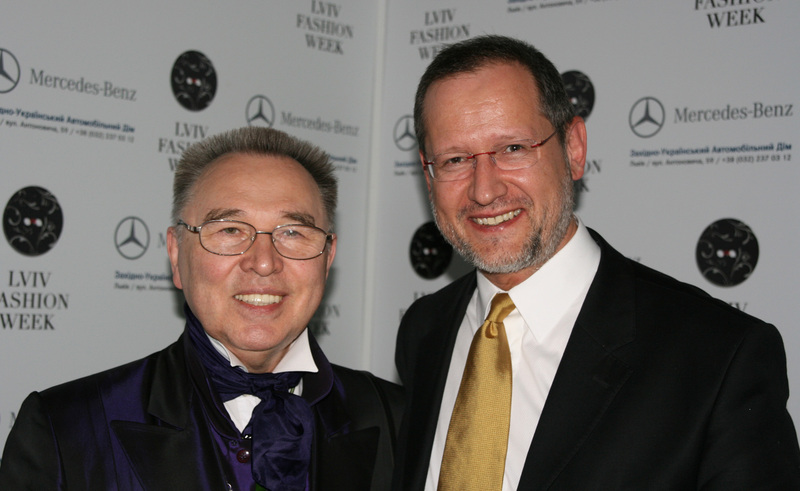 1992 was also a significant year in Zaitsev’s career, because it was then that he presented for the first time his recent fashion collection, as well as his paintings and works on paper in prestigious venues, both in New York and in Beverly Hills. Never before was Russian fashion design demonstrated on the American runways, and never before were Zaitsev’s most personal paintings and drawings allowed to be exhibited in the West. 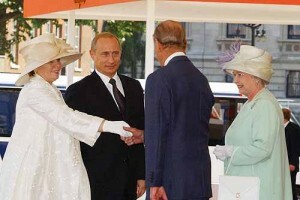 First Lady of Russia Lyudmila Putina to wear for the visit, which included an audience with Queen Elizabeth II. Whilst Zaitsev regards fashion designers Coco Chanel, Christian Dior, Gianfranco Ferré and Hubert de Givenchy as idols, his own creations are strongly influenced by traditional Russian and Slavic styles, and his collections include a variety of theme-based shows reflecting his take on the industry at the time. Past collections include the Millennium of the Christianisation of Russia in 1988; Russian Seasons in Paris in 1988; Agony of Perestroika in 1991; and Recollections of the Future in 1996 – 1997. In his creations, Zaitsev includes elements such as traditional Pavlovsky Posad shawls and embroidered quilted jackets, which have been featured in collections such as Expectation of Changes.